>"Should I Know Who Dylan Is?" River Jordan invited me to the Social Media Jam and Author Dutch Lunch she was organizing in Nashville a few weeks ago, and when she listed the names of some of the participants, I Googled them, friended them on Facebook, followed them on Twitter, and learned what I could about each of them before driving over for the Jam. It’s just what I do. I like to be prepared. Several others joined the thread, which got lively. 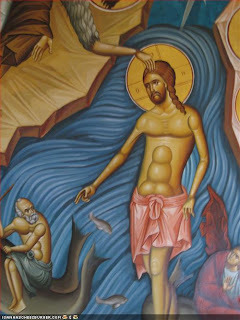 So when I went to Nashville, I took a picture of an icon of Christ that I had painted—one that shows his “abs,”—to give to Matthew if I met him, planning to remind him that I was an Orthodox Christian and iconographer, which is why I commented on his post. As I sat down in the conference room, a young man sat down next to me. It was Matthew. 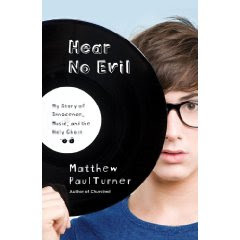 I gave him the photo, and he responded by saying he’d love to interview me some time, and then he gave me an advance copy of his new book, “Hear No Evil.” His site had a place to download the first chapter, which I had done the day before. I had printed it off and read it the morning I drove to Nashvile. Matthew is a big social media guru, with 19 thousand followers on Twitter, and also a huge following on his blog and Facebook. Matthew believes that the social media is more than just a marketing tool. “It’s an extension of who you are… blogging is a lifestyle.” (And he’s got 18 published books. I have no idea where he finds the time to write! So I brought home my copy of “Hear No Evil,” but I was in the middle of two other books at the time. This week I got around to reading it and couldn’t put it down. 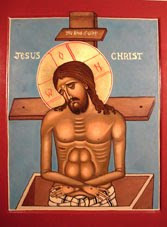 Like the Jesus pictures on Matthew’s blog, his book is at times irreverent, often funny, but always honest and poignant. 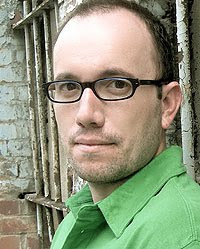 Most of all it’s a candid look inside Matthew’s several worlds: the fundamentalist Baptist home of Matthew’s childhood, and then his exposure to the “cool Christian Calvinists” on the campus of Belmont College in Nashville, and finally, the world of Christian music at large. Two more freshman friends, Nadine and Pam, took Matthew to see his first movie, since they weren’t allowed when he was living at home. Nadine picked picked him up in her car. And so Matthew began his bumpy ride through Belmont College and beyond. Each chapter offers anecdotes to enjoy and insights into the insular world of contemporary Christian music. Like “Chasing Amy,” the chapter which relates the story of Matthew’s biggest assignment, when he worked as editor for CCM, a magazine covering Christian music. His excitement over being given the opportunity to interview his idol, Amy Grant, was tempered by the publisher’s insistence that he force her to apologize for her divorce. Hear No Evil is a story of a skinny little kid with a big heart and even bigger sense of humor, who grows up to be a man who loves his wife, his son, and the music that still fuels his journey. 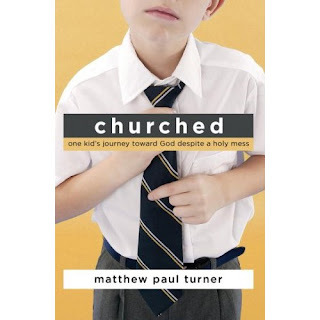 Makes me want to read his previous memoir, “churched: one kid’s journey towards God despite a holy mess,” and learn about how his strict fundy childhood didn’t quench his love for Jesus.